sfgirlbybay: The New Posters Are In! The New Posters Are In! look really, really pretty! I was so pleased! 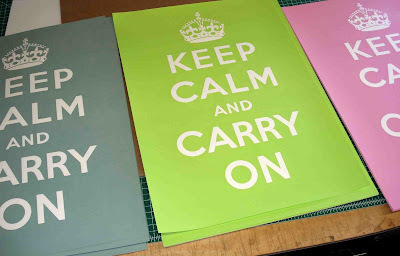 Clockwise from left to right: Pink, Seafoam/Aqua, Vintage Red and Chartreuse Green. If you've pre-ordered a poster they will ship out by Monday. For poster ordering information, click here. We have three of these posters at my work here in Philly. So cool when I discovered they were yours! Love the new colors too. May have to get some for my own. 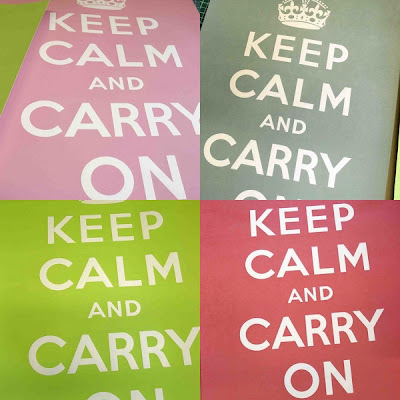 Sometimes all we need is this: Keep calm and carry on! Love my green one too... it's a great addition to our walls!